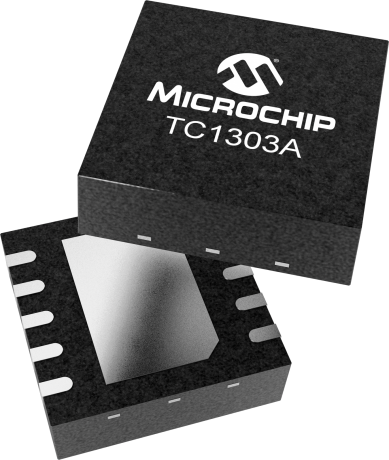 The TC1303A combines a 500mA synchronous buck regulator and a 300mA low-dropout (LDO) regulator with a power-good monitor to provide a highly integrated solution for applications that require multiple supply voltages. The power-good function monitors the output of the buck regulator. The TC1303B Dual-Output Regulator with Power-Good Output Demo Board can be used to evaluate the TC1303B device over the input voltage range and output current range for both the synchronous buck regulator output and the low-dropout linear regulator output. Test points are provided for input power, output loads, shutdown control and power-good monitoring.